GENEVA, August 1, 2017 – Hours after the Venezuelan police’s midnight arrest of pro-democracy leader Leopoldo Lopez and Caracas mayor Antonio Ledezma, the Geneva-based human rights group UN Watch today called on U.S. 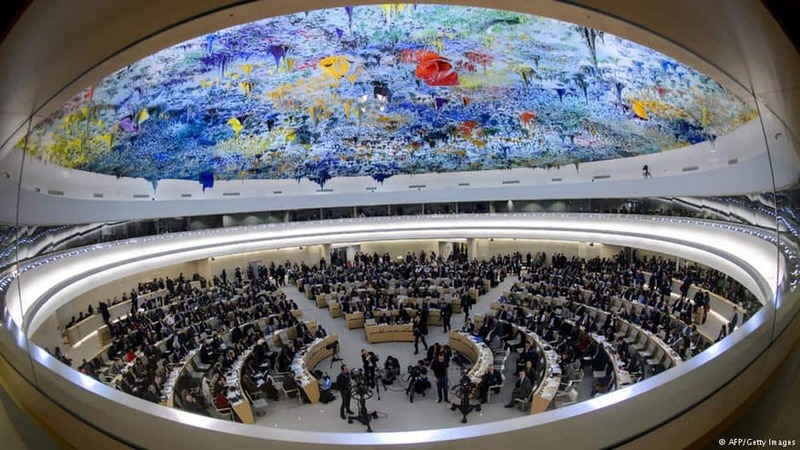 Ambassador Nikki Haley, UN chief Antonio Guterres and human rights commissioner Zeid Al-Hussein to support an emergency session of the 47-nation UN Human Rights Council to address the dire situation of human rights in Venezuela. “Midnight police raids into the homes of peaceful democracy leaders is a move reminiscent of Stalinist regimes,” said UN Watch executive director Hillel Neuer. Special sessions of the UNHRC require the signatures of only 16 countries, while at least 20 current members are seen as potential supporters: the U.S., UK, Netherlands, Germany, Belgium, Albania, Botswana, Brazil, Croatia, El Salvador, Georgia, Ghana, Hungary, Latvia, Panama, Paraguay, Portugal, South Korea, Slovenia and Switzerland. Both Ledezma and Lopez received UN Watch’s Geneva Summit Courage Award in 2016.